The Proteas won the second T20I by six wickets at Potchefstroom to seal the series. 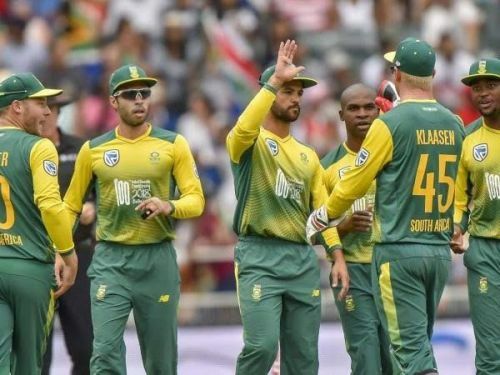 Now the South Africans will look to add another series sweep to their name, While Zimbabweans will desperately want to escape some embarrassment by finishing the final fixture of South Africa's tour on a positive note, when both these sides clash in the third T20I on Sunday, October 14 at the Willowmoore Park in Benoni. In the shortest format, both teams have faced each other on five occasions at with the hosts routing the scoreline 5-0. In their most recent clash on October 11. Asked to field, Proteas restricted Zimbabwe at 132 and then raced away to target with 4 overs to spare. The hosts are on a roll at the moment and they seem to be enjoying their time against a hapless Zimbabwean side. They won the first game by 34 runs, then secured a comfortable six-wicket win in next game and now eye whitewash in the last fixture. David Miller and Rassie van der Dussen, will once again be looking to get Proteas off to a good total. Both have been in quite good form this series and are expected to continue their good run in the last clash as well. While Skipper Faf du Plessis and JP Duminy too had their share of the pie and the team will bank on these two experienced campaigners to hold the fort during the middle overs. Despite resting Tahir in the second game, the African bowlers have done a decent job for Africa in the second game and didn't have many chances to opposition batsmen. Lungi Ngidi, Robbie Frylink and Dane Paterson all took two wickets apiece and opposition have found it very difficult to score runs off them. Faf du Plessis (C), Rassie van der Dussen, David Miller, Quinton de Kock, Andile Phehlukwayo, Junior Dala or Imran Tahir, Lungi Ngidi, Tabraiz Shamsi, Jean-Paul Dumin, Robbie Frylinck and Dane Paterson. The visitors have tried everything they could, but nothing has worked for them. Now they seem to have run out of ideas to overcome this threatening African lineup. The team failed to click as a unit and even the comeback players have not been able to change the Zimbabwean fortunes. Visitors have now lost all the five tour games they have played against their big brothers and hope to avoid the wooden spoon in the last fixture. Sean Williams was their best batsman in the second T20 with 41 runs in just 28 balls and the team will be hoping that he returns to his explosive best in the final clash. While Peter Moor scored a quickfire 21-ball 44 in first game Both batsmen have been the backbone of Zimbabwean batting lineup and will be expected to counter the Africans in the middle. 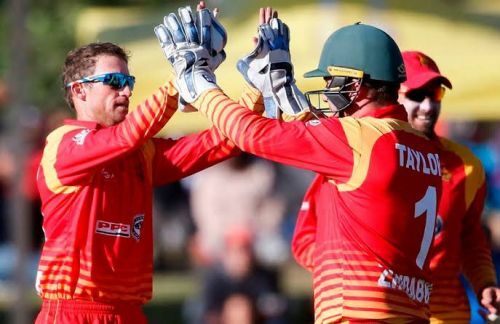 The team will also bank on the likes of openers Masakadza and Brendan Taylor, both have had a good record for the visitors in the past and will be expected to provide a good start. Chris Mpofu has been the go-to bowler for Zimbabwe this series. He has been quite economical and has taken three wickets in two matches and will be expected to come up with a strong performance in the final game. Kyle Jarvis has taken three wickets but has been quite expensive for the visitors leaking 66 runs in his six overs, which has been a matter of concern for the visitors and the skipper will need him to bowl a tight spell despite providing breakthroughs. Hamilton Masakadza (C), Brendan Taylor, Sean Williams, Peter Moor, Elton Chigumbura, Kyle Jarvis, Tendai Chisoro, Chris Mpofu, Solomon Mire, Wellington Masakadza and Tendai Chatara.